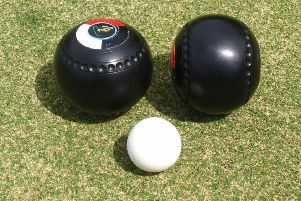 Billy Sandilands won the Postal Bowling Club championship with a 21-15 victory over Alan Ewart, becoming the first member this century to win the trophy as president. Sandilands was 10-3 ahead after eight ends but a run by Ewart drew him level at 12-12 and then went in front at 12 -13 after 19 ends. However, Sandilands closed the contest with a run of 3, 2, 2, 1 and was presented with the famous old trophy by vice-president Colin Turnbull. Sandilands also won the trophy in 2010 and the last occasion that a president won the championship was in 1999 when James Marshall triumphed.